25 years ago, a bunch of students started to protest about their freedom. Not that unusual about that until I tell you that this was in China. 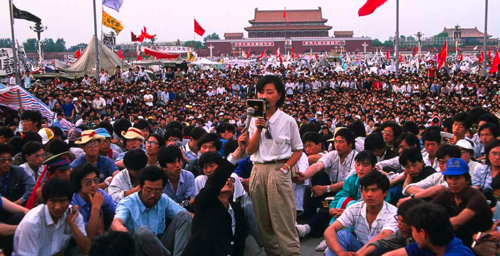 It was held in Tienanmen Square. What is best known is what happened 25 years ago today. The brutal ending of the protest and murdering of an unknown number of protesters. A figure that we will probably never know. Estimates run between hundreds and thousands of the numbers killed by the tanks and army that stormed the square late at night indiscriminately killing whoever got in their way. The tanks just drove into the square, running over whatever got in their way. The tents of the sleeping protesters, the hastily erected barricades and the symbol of the protesters. An event, even today, China is trying to keep secret from its own people. Banning searches for the phrase in relation to the protest. 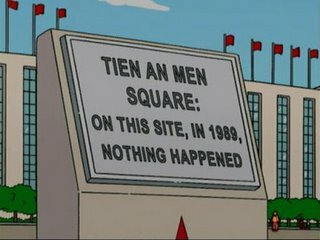 Rounding up dissidents that may talk about the events that “didn’t happen“. the problem with a closed, communist, government that will try to keep anything that it doesn’t want to be known a secret. I got my reporting of what was happening from the BBC and their correspondent, Kate Adie. A name that first came to prominence at the start of the decade by hiding behind a car door, reporting about the end of the Iranian Embassy siege. Her reports from that night were shocking because of the brutality of the Chinese government and the way that the soldiers just opened fire on anyone in the square. Kate was grazed in the “battle” but carried on reporting so the world could see what was happening and the brutal way that the peaceful protest was ended. In the days after the massacre, hundreds of people simply vanished. They were the leaders of the protest. We can only assume that they were rounded up and, after a kangaroo court, sent to prison for a long time. Either that or just shot in prison to keep their voices silent. Another thing that came from the protest was one image. 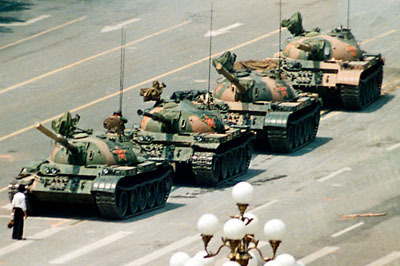 Of an unknown man standing in the middle of the road stopping a line of tanks passing. One of the images that defined the decade, as well as that turbulent year. There were more images that stick in the mind that defined the decade, but a lot of that happened later on in the year. People dancing on a wall as well as hacking at it with sledgehammers. 1989 was a year of triumphs as well as tragedies. Dictators were overthrown. Walls came a tumbling down. It was just one of those magical years. It was 20 years after the “summer of love”, 1969 – Another year of radical change and revolutionary thoughts. The children of these people were turning into adults and, in a way, were disillusioned with what was going on around them. The traits of Generation x. The children of the baby boomers, the explosion of the birthrate after World War 2. We took the revolutionary ideas of our parents when they protested 20 years previously and made the new ones our own. This is Kate Adie’s report of the massacre and aftermath. Reporting coldly and accurately about nearly being killed and the plight of the wounded in hospital.